Our Chunky Knit Sloppy Joe Crew Neck Jumper is designed to be chic, whilst comfortable and ideal for those days when you really just want to snuggle up and hide from the icy temperatures! 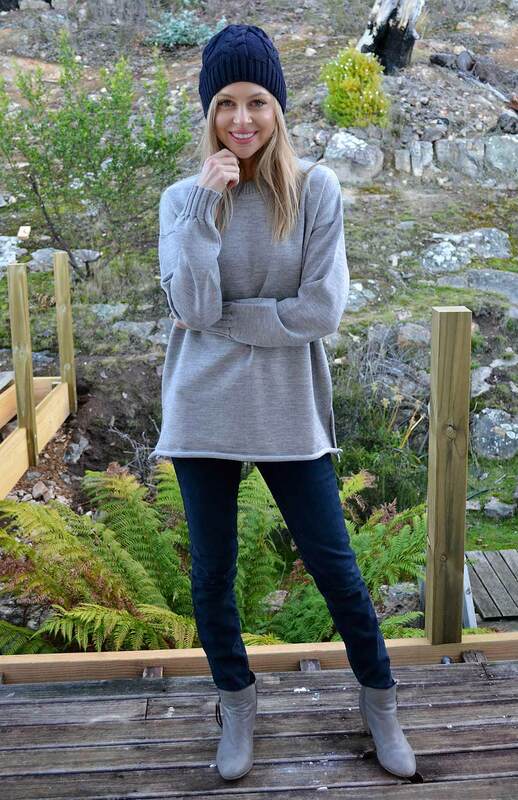 Designed to be worn oversized, this pure merino wool jumper has neutral styling which means it can be worn with any outfit - whether that be jeans or pants, a neat little skirt or your favourite knit dresses. The crew neckline, straight body shaping and detailed side splits (at the hip) combine to ensure you have a jumper that you never want to take off!